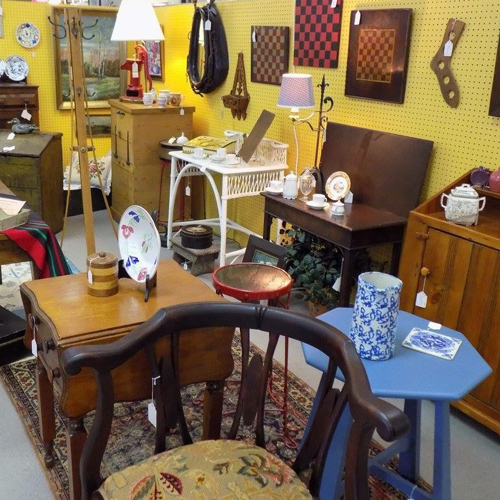 One of dealer Karen Marshall’s display booths is filled with primitives such as furniture in old paint, woodenware, benches, and whimsical objects to delight folks looking for rustic style. And, her other booth is finely appointed with walnut tables, English plates, and works of art. You might say this dealer has a split personality. Whichever your taste–rustic or refined–Karen is likely to have what you’re looking for.